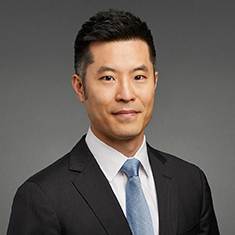 John Huang represents senior secured and mezzanine lenders and administrative agents, private equity sponsors, and corporate borrowers in connection with secured and unsecured cash flow and asset-based credit facilities across a broad range of industries, including health care, fintech and other specialty finance. His practice spans a wide variety of deal sizes and types, from single lender financings of early-stage, emerging growth companies to larger-market, broadly syndicated credit facilities, and includes a focus on leveraged buyouts and other acquisition financings. Upon joining Katten in 2007, he worked full-time at the Small Business Opportunity Center of Northwestern University School of Law’s Bluhm Legal Clinic as part of the firm’s First Year Public Fellowship Program. Shown below is a selection of John’s engagements.